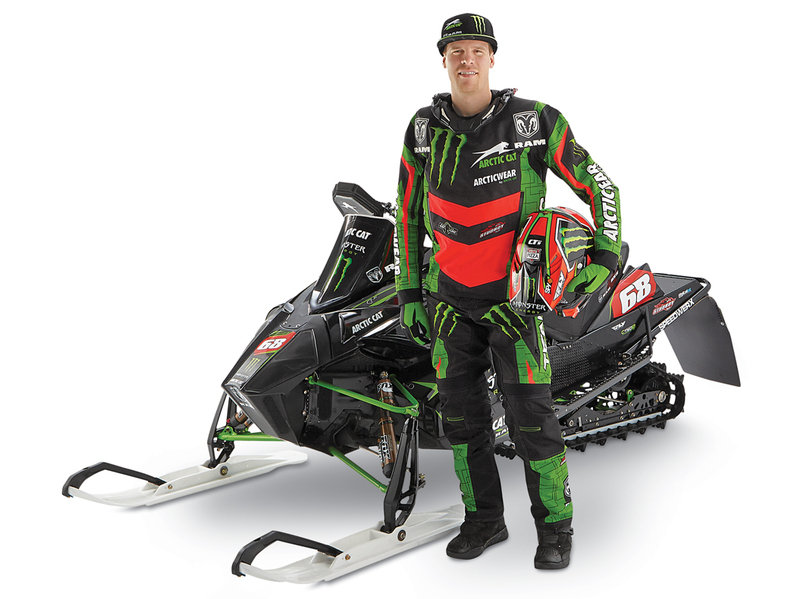 Team Arctic’s Tucker Hibbert will launch into the 2014-2015 Snocross racing season with the iconic style, technical innovation and protective features provided by Arcticwear Gear from Arctic Cat. It’s the same winning combination that helped launch Hibbert’s record-setting career over 15 years ago. Hibbert is an eight-time X Games gold medalist and has 95 Pro class victories – the most of any racer throughout the history of snocross competition. He achieved these historic results through a combination of talent, support and a steadfast pursuit of excellence. His attention to detail is legendary, and he helped design and develop the Arcticwear Jacket and Pants that he will wear on track this season. His design influence will further translate to a signature Sportswear Line for Arcticwear bearing his name and iconic No. 68 in the near future.